Are You Fearful or Anxious When Visiting The Dentist? Our South Calgary Sedation Dentistry May Be For You! If visiting the dentist makes you feel anxious, you are not alone. 75% of Canadians say visiting the dentist makes them think twice about staying on-track with their regales dental hygiene and examinations. At South Family Dental Care we care about ensuring that you experience complete comfort during your dental visits, which is why we offer South Calgary Sedation Dentistry options! 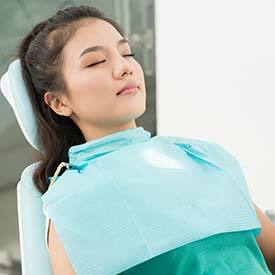 What Sedation Method is Best for Me? Sedation dentistry is considered to be very safe. At South Family Dental Care, we ensure the safety of our Sedation Dentistry patients by using monitoring equipment during the procedure, which includes a pulse oximeter and oxygen equipment. Our Dentists are also required to have reversal medication agents on hand in the rare case of an adverse reaction to the sedatives. Most dental insurance plans typically do not cover the cost associated with sedation dentistry. Since every dental plan is unique, we ask that you contact your dental insurance company to determine if you may be eligible for coverage. At South Family Dental Care, our dental team can assist you with this process and with making the necessary financial arrangements. 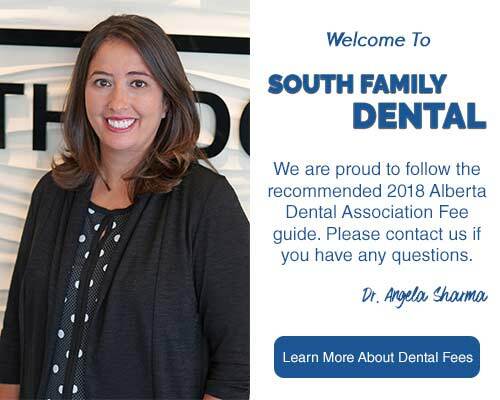 We welcome you to contact South Family Dental, South Calgary Sedation Dentist, to book your consultation appointment today. Call us at (403) 262-3235 to book your Sedation Dentistry Consultation with us today!